Happy Tuesday everyone! 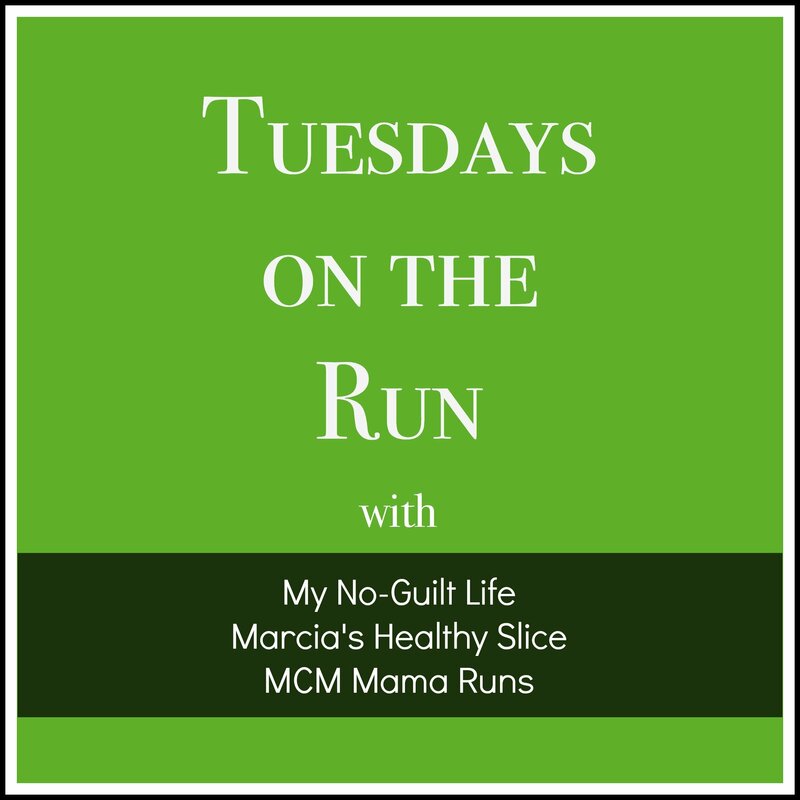 I'm excited to be joining the Tuesdays on the Run linkup today! It's been a while since I joined in the fun, and I've been feeling a little uninspired lately. It was perfect timing, because I love the topic for today- advice for new runners. I've been running for a long time (over two thirds of my life! ), so running feels like second nature to me. I don't really remember a time when I haven't been running, so I thought it would be fun to get together a list of tips for the new runner. I hope you enjoy! Running seems easy, right? Just pick up your feet and put one in front of the other. Believe it or not, the first (or fifth) time you go out for a run it's not going to be easy. The first few steps might be, but it takes a few runs before it starts to get easier. Instead of trying to run 10 miles on your first run, start easy with a few minutes of running and a few minutes of walking, and slowly build up to more and more running and less walk breaks! I can definitely recommend this from personal experience. Two years ago, Dan was training for his first 5k, and thought he would be able to go out the first day and run two miles. He made it through a short training period and ran the 5k, but didn't enjoy it at all. Last year, I got him to follow a couch to 5k program, which starts off with walk breaks and ends with you running the full 3.1 miles after a few weeks. He felt so much better taking training slowly and easing into more and more miles. It takes some work and patience, but I promise running does get easier-just give it time! Doing a bunch of running to train for a race is great, but adding in some cross training makes a huge difference. When you're running, your body mostly uses the same muscles in the same motion. This is great- but adding in some weight lifting or yoga can make a huge difference by strengthening your muscles- from your core to your legs and arms- as well as improve your flexibility. Now that you're running, it's time to pick a race (or not- just running for yourself and not to compete is cool too)! It's intimidating to sign up for and compete in your first race, but every runner has been there. It might seem scary to join a bunch of people who you think are faster than your or have way more experience. Luckily, the running community is fantastic and always welcoming to new runners. Find a small, local race near you so that you can practice running parts of the course. Get there early enough to pick up your packet, use the porta-john, and get out pre-race nerves (side note- no matter how many races you run in your life you will probably always have pre-race nerves!). Then- enjoy yourself! Try not to start out too fast, but remember to enjoy your first race. And remember- since this is your first race it's an automatic PR! You might be tempted to buy a special outfit for your first race, get a brand new pair of shoes, and have a huge breakfast so that you have tons of energy during the race. Don't do it! What happens if your new top rubs you the entire race, or your shorts are uncomfortable, or your shoes give you blisters, or your breakfast isn't sitting well in your stomach? All of these things could ruin your experience on race day. Practice with different breakfast foods until you find something that sits well with you (for me, that's sweet potatoes, eggs and a banana). Wear your favorite outfit that makes you feel super cool, and the shoes that are most comfortable. Your turn! Give me your best tips for new runners! Something that I tell all new runners is to start piece by piece. You aren't going to run the marathon the first time out, or even necessarily like running the first time out. Give yourself time to adjust! I think starting slow is often overlooked because people want to just throw caution to the wind and run a marathon right away. It takes a LONG time to adjust to running and then to running long distance. Exactly! No one realizes how long it takes to build endurance. It's tough! Great tips, Gretchen! Amazing to think you have been running for two-thirds of your life! Race day nutrition is my biggest lesson learned. I was sick for the entire day after my first half marathon with severe nausea because I did everything wrong. I paid the price for that mistake! Unrelated, but I saw through the weekly wrap linkup that someone else is running the Gettysburg Marathon! I left her a comment so hope she comes your way. love the tips!! 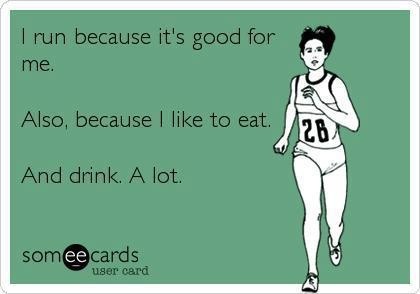 i am not a runner, at all. i run kind of sideways, even on a treadmill i just run right off it. i think couch to 5k is my plan, so many, like your hub, have said it worked! It's definitely great for anyone looking to start out! 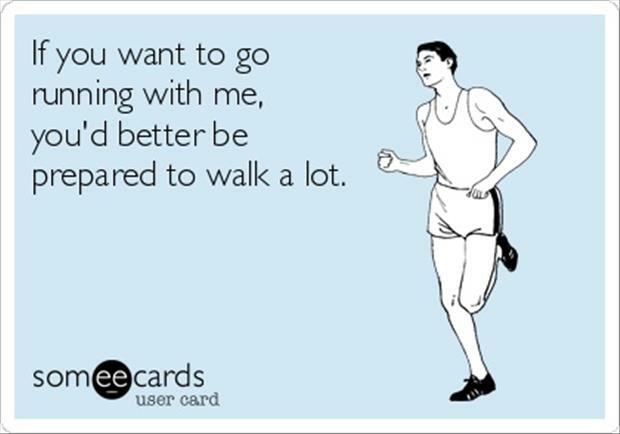 I'd add to find someone to run with! I did track in high school and then started running longer on my own in college. It took me a few years until I started running with others and the camaraderie makes SUCH a positive difference in my running life! Great tips! I especially like the start slow one. When I first started running a few years ago, my only goal for my workouts was to just run 15-20 minutes without stopping, even if I had to shuffle through it. I knew I'd get where I needed to be eventually, so why rush it? Since Jessie had this same post I'm repeating the same thing on here for advice I would give to a new runner: take a long-term view. The joy of running is that for many of us, it is truly a lifelong sport. Take care of yourself now so that you can still run in 10, 20, 50 years. You have so many more years to run - do you really want to peak in your first 2? Just relax and take your time with your goals. You don't need to have everything right now. You'll get there eventually. The Boston Marathon isn't going anywhere anytime soon and taking longer than expected to get that half marathon PR just makes it all the sweeter. Thanks for all of the great advice Hanna!! It makes a HUGE difference if you actually train! This is all great advice. When people start out with running, I think a lot of the time they think they have to go fast and get frustrated when they don't have the endurance yet. I totally agree about nothing new on race day - I actually ran a half marathon in relatively new running shoes a few years ago and totally regret it! Exactly! It takes so much time to get comfortable running. Ouch for your feet! I made the mistake of signing up for TOO small of a race for my first 5k, as a back of the pack runner, and was alone most of the time and almost last. I should have been smart and looked at the year prior's results (to see if anyone was in my pace race). If i had signed up for something just slightly larger (or a run/walk maybe), I would have felt more comfortable being way at the back, hopefully with some company. You're absolutely right! I've run tiny races before and I'm always so scared of coming in last or getting lost. Then again, someone has to finish last so it's really not a big deal! Ha I loved all of these! I've only been running since about 2012 and I'm learning everyday! Getting fitted for good shoes is one of my biggest tips! I'm still learning every time I go running or talk to someone about it! Great tips! My advice to new runners is to trust the process and, while having goals to aim for, working from where they are right now. Trust the process..yes! I feel like I should get that tattooed on my arm. Start slow...yes!!! In hindsight this would have saved me a few injuries....lesson learned! Great tips! I am still working on the "not starting out too fast", I made that a goal for my last half and it worked out really well... it is hard not to get caught up in all the energy on race day! Me too! Race day energy is insane! I agree with all these! I'm hoping to get my boyfriend to run a 5k with me and it'll be interesting haha. I need to keep all of these things in mind when we're running together haha. Good luck with that! I'm trying to get Dan to write a guest post about getting into running which will hopefully help! 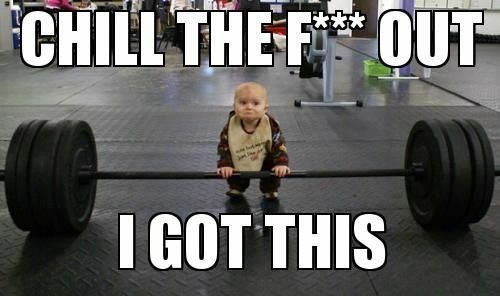 oh my gosh the pre race jitters meme is hilarious! marathon winner at mile 2. oh goodness. i love race day. even if i'm not the best runner, there is nothing like a race atmosphere, even when you're not serious. you're just surrounded by other people who love the same thing you do. what's better than that? !